Fiesta has made a winning start to her three-year-old season in taking out the Silver Shadow Stakes. In the first real test for the new season’s three-year-old fillies, Fiesta has set the benchmark in the Silver Shadow Stakes at Randwick. The Chris Waller-trained Fiesta, raced by a Star Thoroughbreds syndicate, won the Group Three Widden Stakes in February before finishing second to subsequent Group One winner Seabrook in the Sweet Embrace Stakes. After a seventh in the Golden Slipper, Fiesta ended her campaign with another Group Two second in the Percy Sykes Stakes. 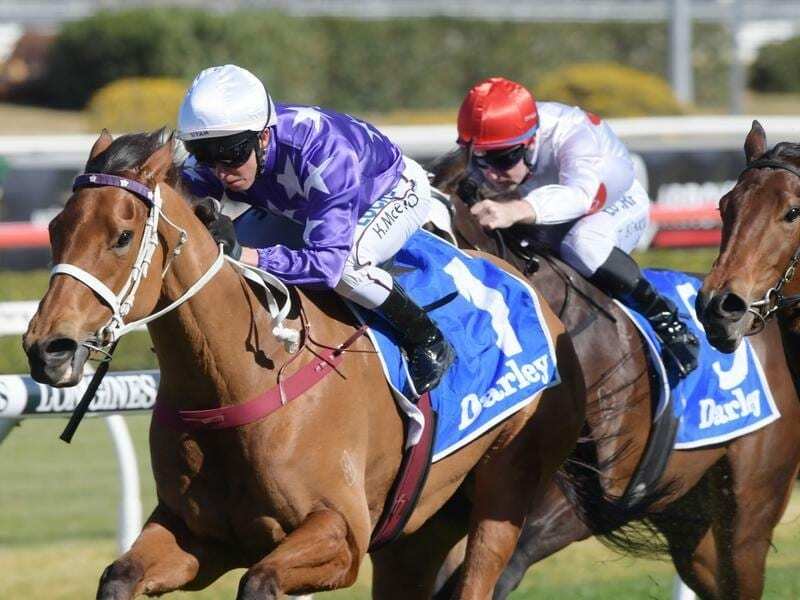 “She is a really good filly,” Waller said. “We asked a bit of her as a two-year-old which is obviously important in Sydney racing. In Saturday’s Group Two Silver Shadow (1200m), Fiesta raced without the blinkers employed in her two-year-old campaign. The $5.50 chance came from midfield to beat Outback Barbie ($3.90) by a neck with Futooh ($7.50) another long neck third. Waller said Fiesta would continue through the four-race Princess Series which culminates in the Group One Flight Stakes (1600m). “We took the blinkers off with a view to the longer races,” Waller said. Kerrin McEvoy has ridden the filly to her past five of seven starts and noticed the difference. “She’s grown up a lot. She is more developed and has strengthened up,” he said. “Mentally she has grown up a bit too. “It was important to make use of the inside draw. I had first run on them and was full of running when I asked her. Triple Group One placegetter Oohood, the $3.10 favourite, is now a million-dollar maiden with her fifth prize money taking her to the milestone.